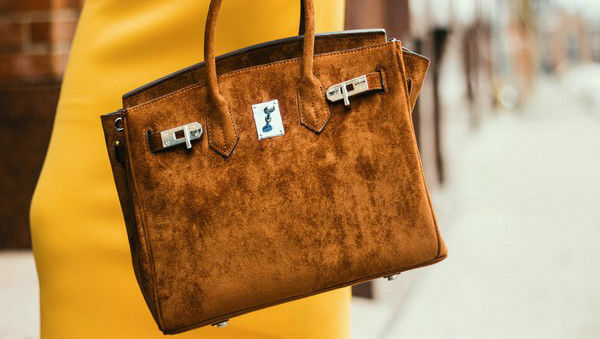 Miami [USA], April 12: Owning designer handbags is more often than not on the bucket list of all women these days. However, this Miami woman has been running a designer-handbag scam for the last two years and was finally nabbed earlier this week. 39-year-old Meghana Rajadhyaksha, Miami Herald reported, mingles with socialites at galas and charity event while flashing handbags from the likes of Fendi, Gucci, and Louis Vuitton. What one may not know, however, is that after her glamorous appearances, she returns duplicates of these luxuries to the website she purchased it from for large amounts of money. Indian Origin Man in Trouble for Disrespecting Singaporean Flag. The article published went on to say that for the last two years, Rajadhyaksha has been running this fashion retail scam through the internet and mail, according to a federal criminal complaint charging the 39-year-old woman with fraud. It was revealed that Rajadhyaksha was returning duplicates of these branded handbags with all tags intact while she retained the original products. However, the criminal complaint doesn't state what she did with the actual handbags and where she got the replicas from. Rajadhyaksha spent Tuesday night in a federal lockup after being arrested from her home on mail and wire-fraud charges. She made her first appearance in the federal court on Wednesday and was later released on a USD 250,000 bond. Her attorney, Christopher Lyons, declined to speak on the allegations, saying "it would be premature at this time". Lyons was also quoted by Miami Herald saying that his client is "completely devastated" at this point of time. "She is extremely distraught over this and her primary focus right now is on her family. However, she wanted to thank the federal agents for the professionalism that they extended to her and her family throughout the process," Lyons told the Miami Herald. Rajadhyaksha is a regular at all the charity events and socialises with the fashionable and elite in Miami. Her husband Amar Dilip Rajadhyaksha is an orthopedic surgeon. According to the criminal complaint, Rajadhyaksha appeared on the radar of retailer T.J. Maxx in November 2017. Company investigators suspected her of running a scam by ordering branded handbags on its e-commerce website, using PayPal for the credit-card purchases, and then returning the high-end bags for refunds over and over again, the complaint stated.The retailer conducted his investigation and later alerted the U.S. Secret Service, which specialises in fake probes. Singapore: Indian-Origin Maid Gets 18 Months Jail For Sexually Exploiting & Blackmailing Employer's Minor Son. "Rajadhyaksha has placed dozens of orders for and received original handbags, which were later returned with substitute handbags to trigger refunds to her," read the Secret Service complaint, which was filed by prosecutor Stephanie Hauser. Last year, T.J. Maxx investigators started monitoring her orders of the luxury handbags, including a Dolce and Gabbana Welcome Handbag, priced at USD 2,000. Before shipping the bag to her home, T.J. Maxx investigators marked the handbags with ultraviolet ink that would not be visible to the naked eye without a black light, the complaint added. The investigators soon discovered that Rajadhyaksha constantly returned the bag with the tags on to get refunds, but the handbags did not have the UV ink marking. The investigators also kept track of multiple requests for refunds, but the bags returned by Rajadhyaksha were fake, the retailer said in the complaint. In February this year, the complaint stated that Rajadhyaksha placed an order with T.J. Maxx on its e-commerce website for a Valentino Candystud, a Gucci Marmont and a Fendi convertible crossbody clutch. Last month, T.J. Maxx joined forces with the Secret Service for an undercover operation. On March 13, a Secret Service agent dressed as a UPS agent delivered three handbags -- Valentino, Gucci, and Fendi -- to Rajadhyaksha. That afternoon, she went to the UPS store located on South Dixie Highway in Coral Gables and shipped the bag back to T.J. Maxx store, the video surveillance footage showed. Two days later, when the handbags were received at the e-commerce centre in Tennessee, investigators found that she returned the replicas instead of the actual bags to obtain refunds. "When the returned handbags arrived, the T.J. Maxx investigators photographed and recorded a detailed written description of the returned handbags, and checked the interior of the handbags with a black light for the UV ink marking," the complaint stated.